Load and lift in a single, smooth operation. 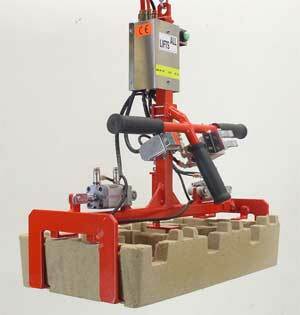 Can be designed to lift almost any Carton or Box. Driven by clean dry compressed air 6 bar. Low consumption of air for Quiet operation. System can be mounted in aluminum jib cranes or gantry systems. Capacities from 2 kg up to 150 Kg. Rotate or tilt the load. EX rating or Atex compliant on request.